That’s pretty much all you have to say and my husband’s eyes start to widen. Okay, okay, mine too – who’s kidding who here? 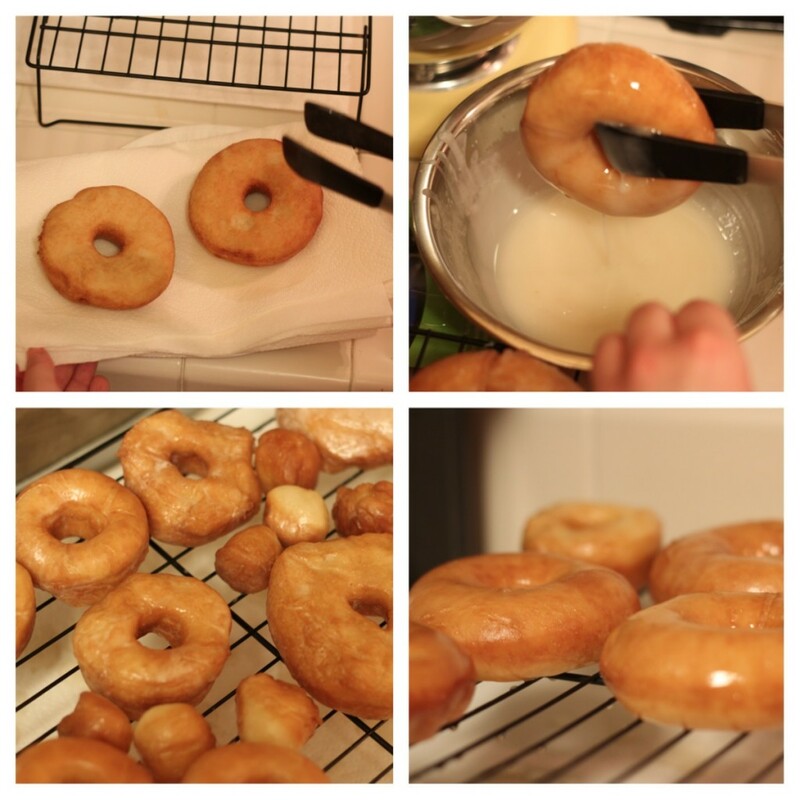 My mom is a doughnut-making pro and makes them every once in a while for special occasions. They tend to all disappear as they’re being made; I don’t think I have ever seen a full batch. Her winning recipe is from Sunset magazine but is currently hidden in one of her moving boxes, so when I thought of giving doughnuts a try for the first time I had to find my own recipe. 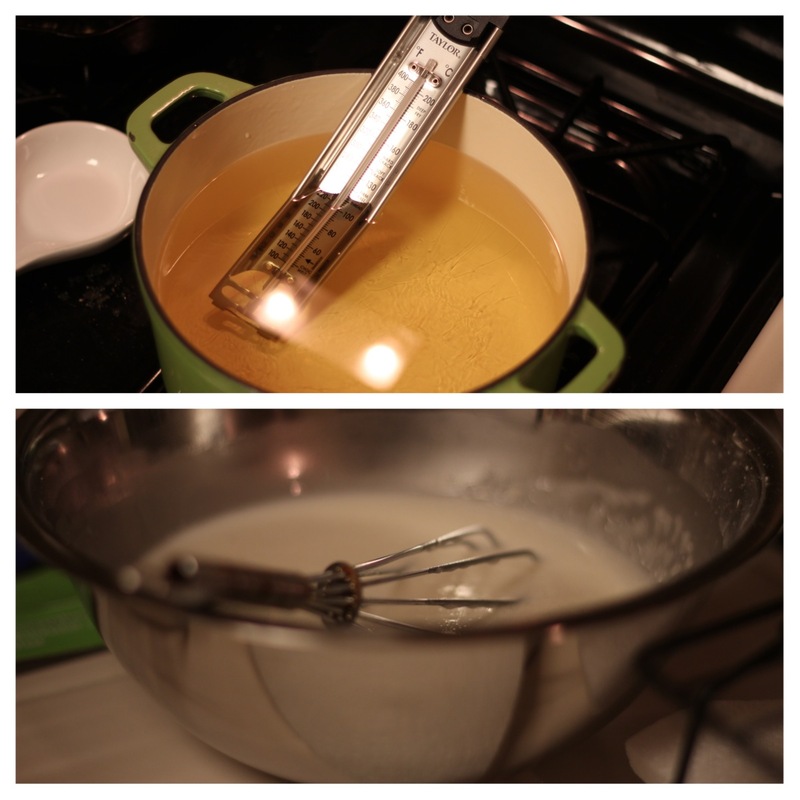 The one I finally landed on was one from The Pioneer Woman blog. I don’t follow her at all and have never tried any of her recipes, but I’ve heard fairly good things about her blog here and there and her doughnut description was making me very, very hungry. With this recipe I was willing to put in a little extra time because it was a special treat, but I couldn’t put in an obscene amount of time because there’s a 4-month old in the house that I’d rather spend time staring at thankyouverymuch. 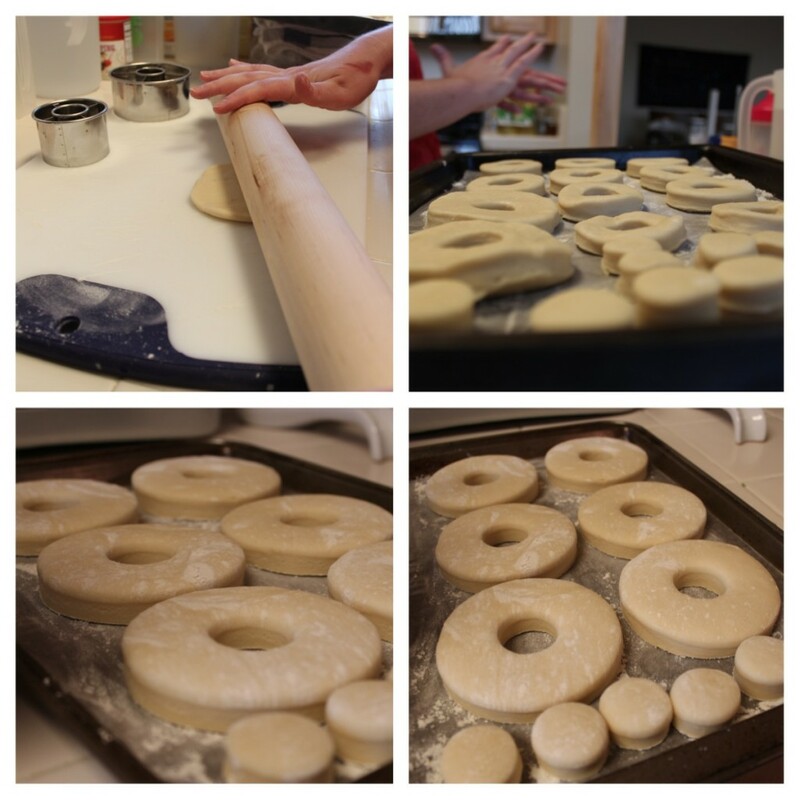 Luckily these doughnuts came down to pretty simple steps, and while it involved a lengthy process if you include the hands-off time, the rest of the work was quicker than I expected. Except for heating the oil – oh man. Sounds simple enough but that took FOREVER. Calls with Comcast have taken less time, and that’s saying something (don’t get me started on that nightmare). I’ve never tried heating oil to a very specific temperature before and didn’t realize how difficult it would be. At first it didn’t seem to be going anywhere near where it needed to be and then it quickly went way beyond, and then once I got it down to the right temperature it quickly went back up and then there were lots of gaps where I had to stand close-by to monitor the temperature but couldn’t actually cook anything. That right there is not my idea of a good time or time efficiently spent. If anyone knows the trick to this, please share. The only ingredients I had to go out and buy were yeast (a staple for some people but not something I work with often) and unsalted butter, and the only cooking tools I needed to get were a frying/candy thermometer and doughnut-cutters (which you could easily work around, as you can see on the Pioneer Woman blog). Both were pretty inexpensive at Shackford’s in Napa and at the very least the yeast and thermometer will get good use over time. 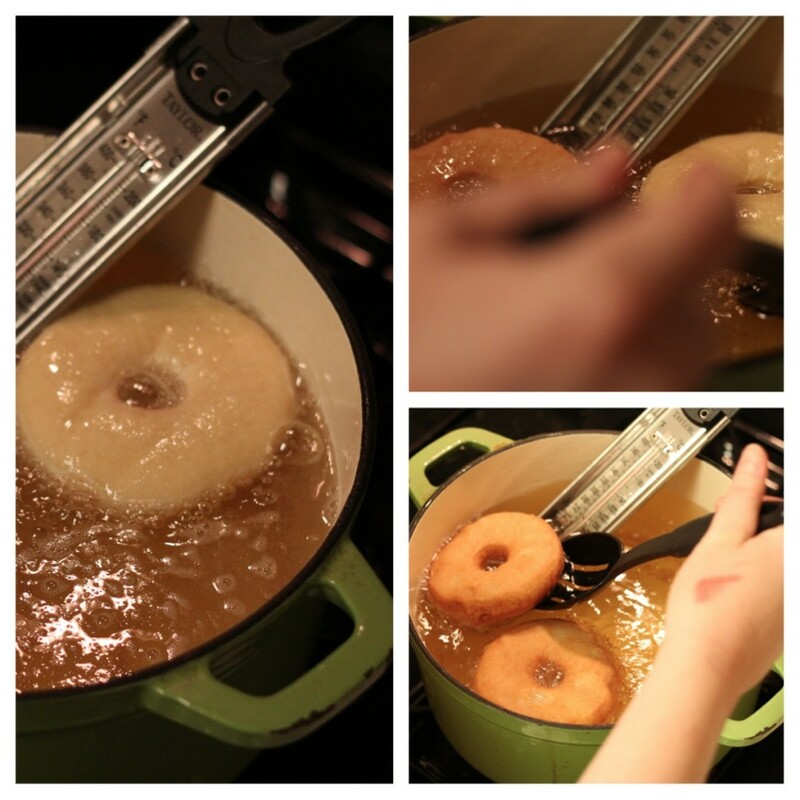 The recipe looked pretty freaking delicious in part because they looked a lot like Krispy Kreme doughnuts. 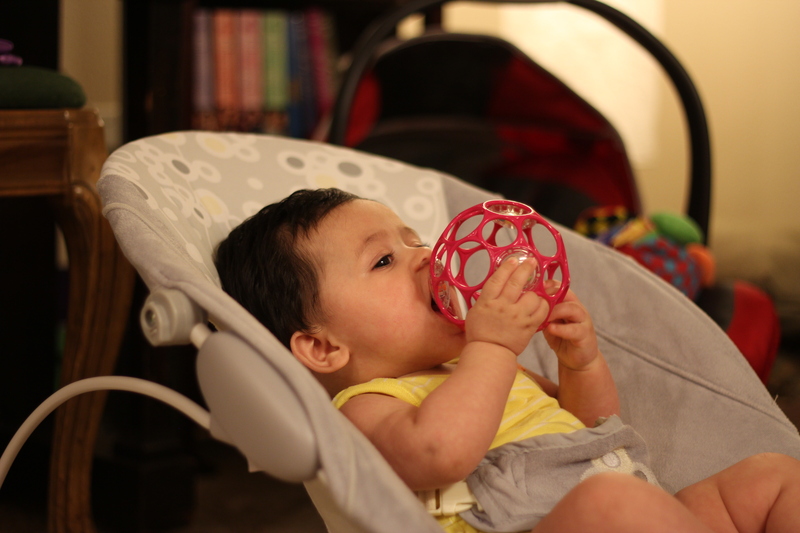 Ahmed and I are big fans of that variety – simple, squishy, sweet, and perfectly glazed. The reviews weren’t ideal – it was just a collection of people saying how delicious they looked and how they thought they would be so amazing to try – but I don’t think I saw a single review from anyone who had actually tried making them. But alas I was fasting and very, very hungry and my mouth was watering and I thought, what the heck, I should just to give it a go. They turned out great but maybe just a tad bit yeastier than I was hoping for, and I’m not sure how to modify the recipe to correct that as I don’t have a lot of experience working with yeast. So I would probably just roll the dice and try an altogether different recipe next time. 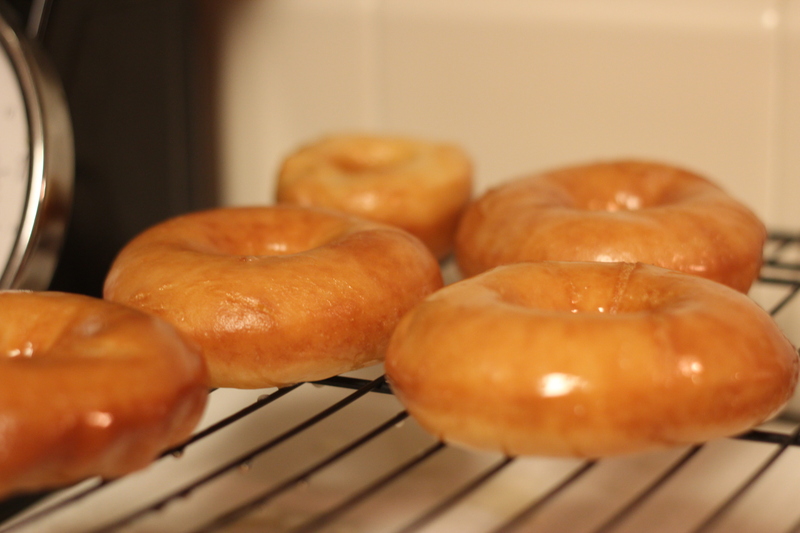 The basic glaze recipe was good though. I’ll probably keep that on hand for the future. Oh, and they had a very short shelf life. They were great the day I made them and good the day after. The day after that? Meh. You need a crowd to feed. Note: I neglected to take pictures of the first couple steps: making the dough and then letting it sit in the refrigerator for several hours. I did, however, talk Mr. Farooki into photographing the rest of the process. Give me donuts!!! Those look delicious!! !